I have a really nice husband who likes me a lot. We decided to try this experiment of the fastest Home Assignment ever. We took a regular 12-week trip and pared it down to just 4 short weeks. We didn't know if it was a good idea but we agreed we were both willing to try it and assess later whether it was a win or a fail. 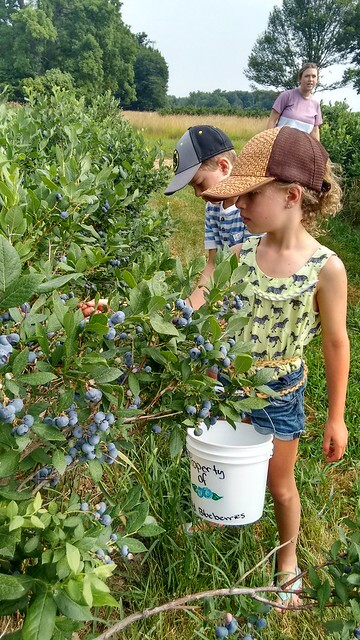 But in all of that planning and looking closely at days and realizing how few we had, I let Nate know that my dream day that we had missed out on last visit to the US would be to go blueberry picking. Even though it's in Michigan, even though it's lots of driving, even though it's a lot of time away from everything else we needed to do. But this guy, who couldn't care less whether he picks a blueberry or any other fruit, helped us make it happen. 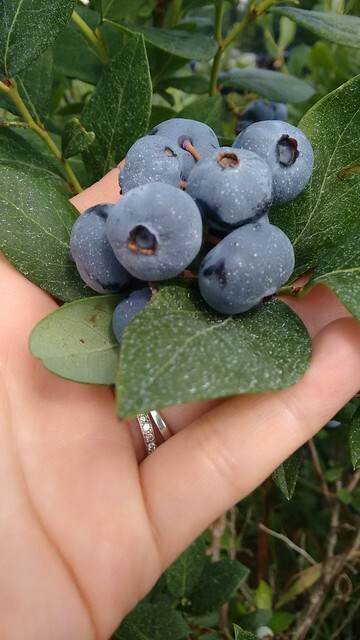 THEN I was talking with my student, Regan, who lives in Indiana and she told me she spent four summers working on a blueberry farm and that we should go there. 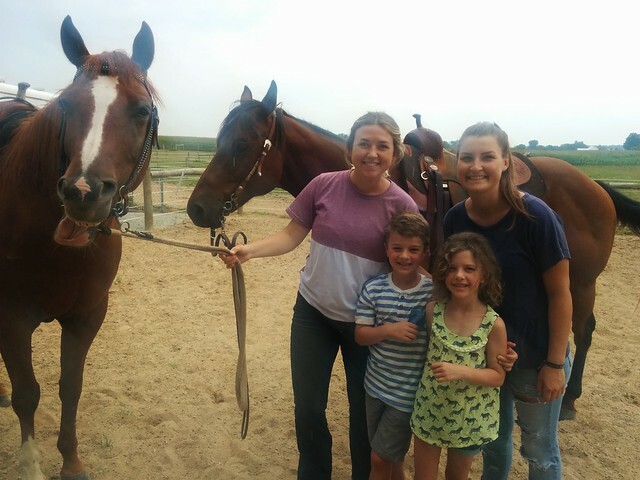 And by the way, she has horses (Canaan's summer dream) and we could stop at her house after blueberry picking to meet her family and ride horses. So a plan was hatched to add it into our trip to Nate's parents' in Indiana and a perfect plan it was. 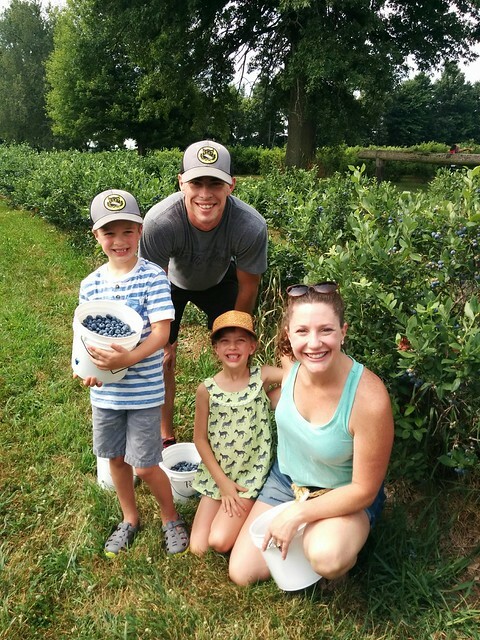 We had an easy trip over and met both Regan and Kyla at the blueberry farm. It was a sweet, sweet reunion for me to see two young ladies I love. Kyla and Eden got super close so it was a fantastic surprise to have her drive down from Michigan. Because Regan worked at this farm, the owner gave us the hookup and asked us to try out a new type of blueberry he is trying out. The biggest blueberries I've ever seen. Rows upon rows of them, fully ripe, with nobody having touched them yet. The berries practically threw themselves into our buckets and we filled our buckets up within 20 minutes of arriving! Eden ate blueberries to her hearts content, forgetting completely about her bucket and filling her mouth and stomach. She is convinced heaven will be a blueberry flavored paradise. We'd picked far more than we could use in our short time in Chicago so I asked if we could donate our blueberries at the front. Well, we did one better and the owner ended up paying me once he did the math on how many berries we wanted to purchase versus how many extra we'd picked. I gave the kids each part of the picking money since they'd done the work and we followed Regan to the old fashioned candy store in downtown Wakarusa where the kids tried every jellybean flavor available and then spent their hard earned $ on suckers. We then headed to Regan's house. Her parents were gracious to welcome us in the midst of construction and packing to leave for a week in the Caribbean. Regan's mom is a passionate horse owner and trainer and it was super fun to watch both her and Regan in their element. 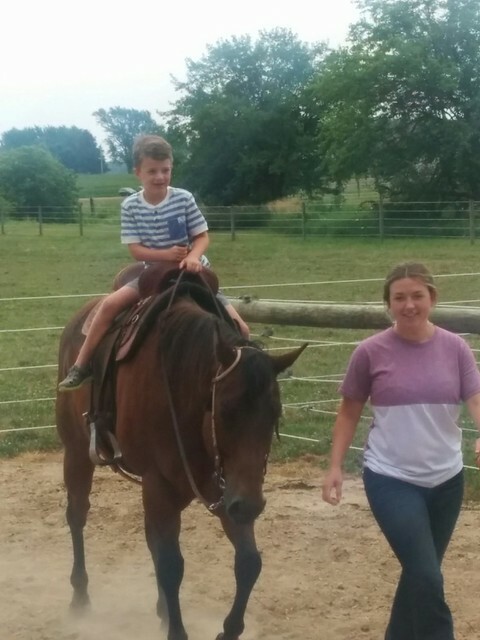 Regan showed off some of her barrel racing skills and both of them patiently helped our kids learn how to ride. 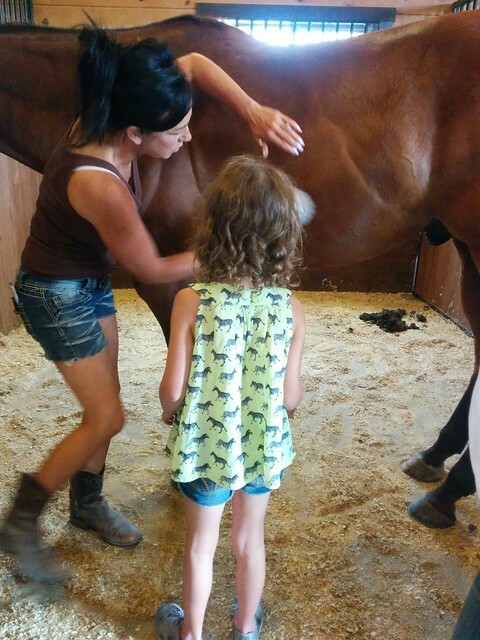 Her mom did such a good job of instilling the confidence in our kids to guide the horse on their own. They loved it, though Eden kept telling the horse "wow" instead of "woah." It was quick all around, filled with things we'd hoped to do, but sad to say goodbye to the Kyla and Regan without much time to hear how they are each really doing. So thankful for their willingness to provide an absolutely beautiful day for our family. We said our goodbyes as the rainclouds set in and headed on to Abuelo and Abuela's house.